Department of Economics and Statistics is functioning under the Planning and Economic Affairs Department Government of Kerala. Headquarters of the department is situated in the V-th floor of VikasBhavan, Thiruvananthapuram. In the State all the 14 districts have offices headed by deputy directors. In 1949, Travancore University had organised a survey on improvement of agricultural Statistics and this finally led to the formation of Economics and Statistics Department. After the integration of Travancore Cochin, State government constituted the Board of Statistics in 1951. Jurisdiction of Board of Statistics has been extended to the whole States of Kerala in 1956 after the formation of Kerala State. In December 1958, The Bureau of Economics studies was setup by the state government to carry out research studies on various sectors of Kerala Economy and to render advises to government on economic issue referred to it. The Bureau of Economics and Statistics was formed by the amalgamation of the Bureau of Economic studies and the Department of Statistics with effect from Ist August 1963. In 1967, The State Planning Board was set up with the Director of Bureau of Economics and Statistics as the member secretary of the Board.During the period from 1967 to 1972, the Board and Bureau of Economics and Statistics functioned together as one entity. In 1980 the name of Bureau of Economics and Statistics has been re-designated as Directorate of Economics and Statistics. At present, Department of Economics and statistics headed by the Director General,is Functioning as a nodal agency of the state for reporting collection, compilation and analysis of Statistics relating to various sectors in Kerala Economy. The District Office of Economics & Statistics, Kollam is on the second floor of Civil Station and is headed by the Deputy Director. For smooth functioning of the office, Deputy Director is assisted by a District Officer, 2 Additional District Officers and 2 Research Officers. Other staffs include 2 Research Assistants, 6 Statistical Assistant Grade-I, 3 Statistical Assistant Grade-II, 2 U.D.Typist, One Office Attendant and a Driver. 3 Statistical Investigators and one Statistical Inspector are also working in the office for the Socio-Economic survey conducted by the National Sample Survey organisation. For collecting various prices, two Price inspectors and a price reporter are there. For the Collection of data relating to Annual survey of Industries and Evaluation of Soil conservation, 2 Statistical Investigators are also working in the Office. 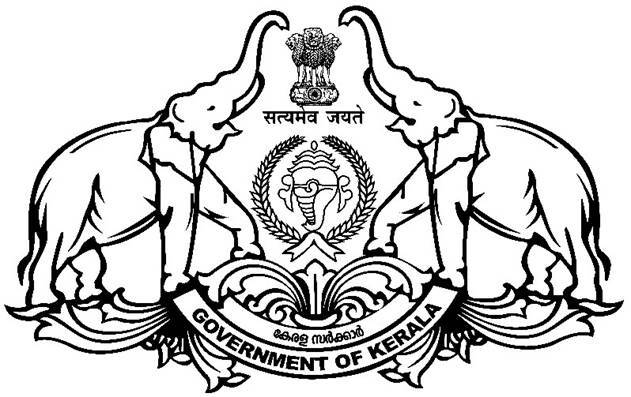 Besides the District Office, there are five Taluk Statistical Offices, (Kollam, Kottarakara, Kunnathoor, Pathanapuram and Karunagappally) functioning for the collection and supervision of data each under the control of a Taluk Statistical officer who is assisted by a Statistical Inspector and Statistical Investigators. For the collection of datarelating to agriculture, there are 52 investigator zones in Kollam District. Each Investigator zone consist of one or two Panchyaths. The Muncipal area (Paravoor, Kottarakara, Karunagapally and Punalur) are consideredas separate investigator zones and the Kollam Muncipal corporation is divided into 3 investigator zones. For the data collection relating to cost of cultivation survey, one Investigator is working in each Taluk Statistical Office. In Kottarakara and PathanapuramTaluk Statistical offices, there are 2 price investigators working for collecting the price relating to the respective centres. Data collected by the field office issend to the District Office and there it is consolidated and arranged block wise. The Final report is send to the Directorate of Economics and statistics and National Sample Survey Office, Faridabad for Planning various Projects of state and Central Governments.